The most explosive TERA character class is coming to console on June 26th. Often and best described as a highly-mobile “artillery cannon”, the Gunner can and will mow down swathes of enemies with the mighty Armcannon. 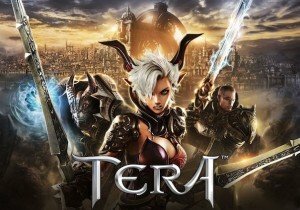 In celebration of this, En Masse is unveiling a 33% discount for all TERA Founder’s Packs for Xbox One starting today through June 18th. These Founder’s Packs will then retire from both consoles in favor of new DLC packs. These will include flying mounts and will launch today. Fans of the Gunner can also now unlock some items for their Gunner as part of a pre-launch event. By completing specific in-game objectives can earn them a different letter, spelling out G-U-N-N-E-R. Completing it will give them a Golden Will Suit costume and an Armcannon of Mettle weapon skin.